The city of Santa Rosa proposed construction of a pedestrian bridge over Highway 101 that would connect the Santa Rosa Junior College campus on Mendocino Avenue with neighborhoods west of the freeway. The bridge would increase student access and alleviate parking congestion. In a meeting on April 29 at Santa Rosa High School, architect and engineer Steven Grover presented the findings of a feasibility study for the bridge project, informing the public about site locations, goals and a timeline for completion of the bridge project. 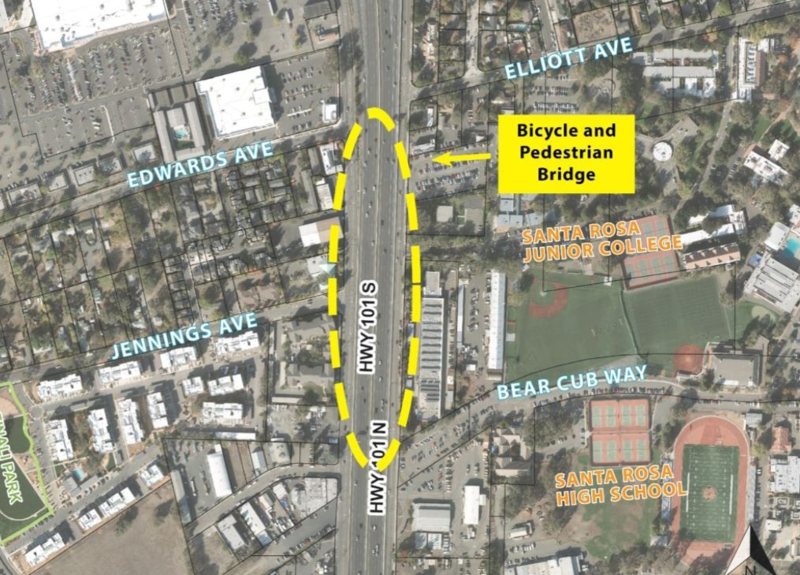 The bridge could cross Highway 101 from Range Avenue to the SRJC lot on Bear Cub Way or from Edwards Avenue to Elliot Avenue. Ideally, the bridge could minimize the overflow of student parking at the Junior College and potentially provide an influx of students. It aims to provide a safer and more efficient way to cross Highway 101, instead of crossing dangerous intersections and busy streets. Students showed general support for the project as a means for transportation and ease the overcrowding in the parking lots on campus. “I don’t personally ride a bike, but parking is a major issue we can all agree on here. I think a pedestrian bridge would definitely take away from the overflow,” said John Morton, 23, natural resource management major. Students who bike to school especially showed interest in a safer, more direct route to commute to school. She explained how a recent study showed student, faculty and staff commuting caused 80 percent of the college’s carbon footprint. Students alone caused 67 percent of the emissions and the bike bridge could put a dent in this number. “Bicycles are comparatively inexpensive to buy and run and can be much more efficient than taking a bus,” Jones said. The infrastructure plan was originally proposed in 2007 and underwent a study of the planned construction sites to evaluate the effect on the landing areas where the bridge would be built. A current environmental study must be completed before the project can enter the design approval phase. In 2010, the feasibility study was completed and accepted by the city council. The meeting on April 29 was to inform the public on the timeline of the project and potential benefits it could bring to the community, especially students who attend SRJC and Santa Rosa High School, both of which are across Highway 101. Currently the city is in the project approval and environmental document (PA&ED) phase. Caltrans must approve environmental clearances. This phase is set to conclude by the end of Spring 2019. The Edwards-to-Elliot site would cost roughly $10-13 million. The Range-to-Bear Cub Way site is projected to cost 20-25 percent less than that. Construction of the bridge, if approved, will be held in the middle of the night so as not to affect daily traffic. 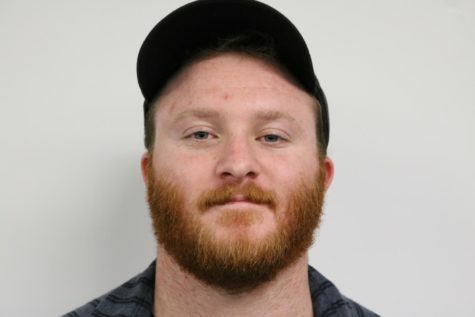 Dylan is studying journalism at the JC and will transfer to Evergreen State College in Fall 2018. He specializes in news writing for the Oak Leaf.